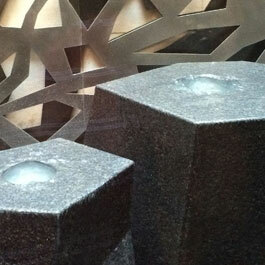 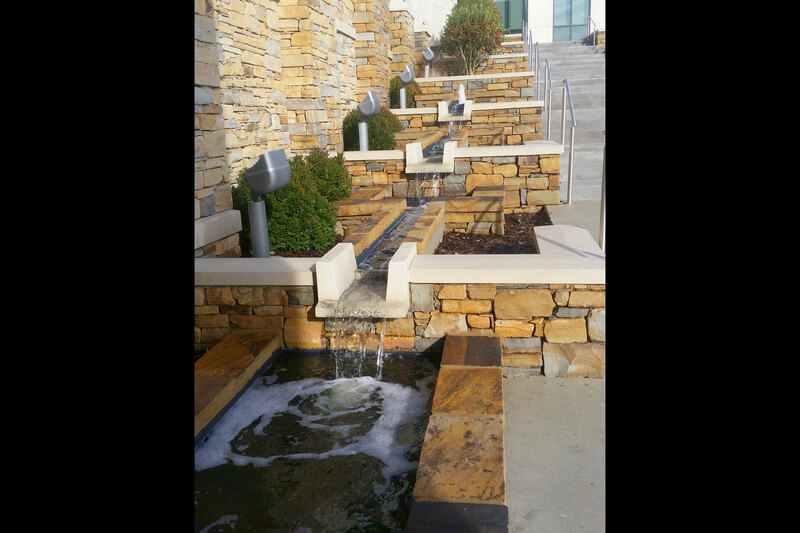 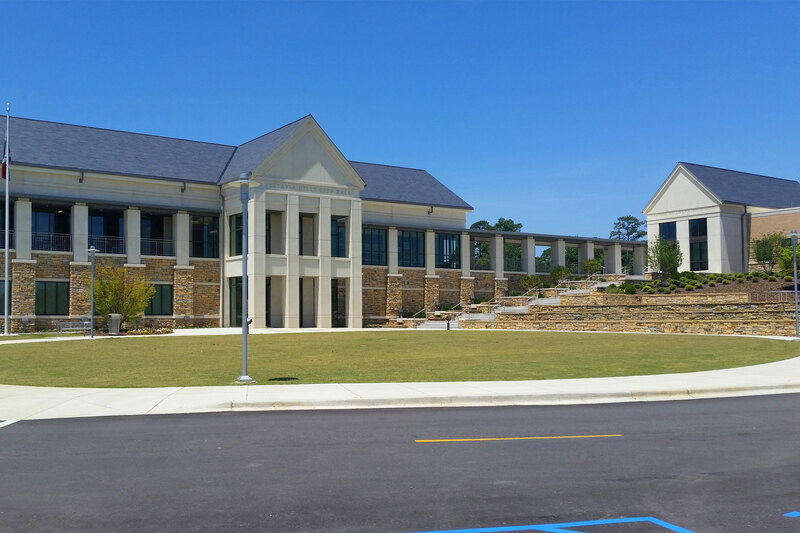 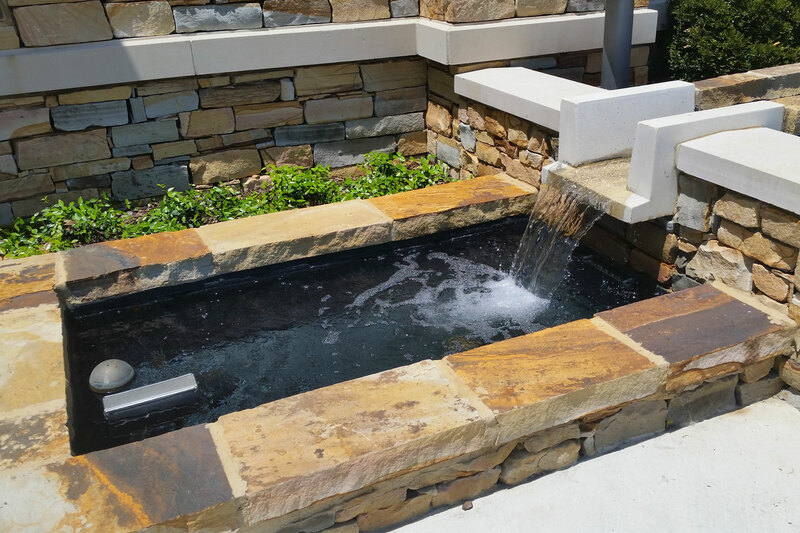 Delta Fountains helped create the stair-step fountain outside Vestavia Hills' City Hall. 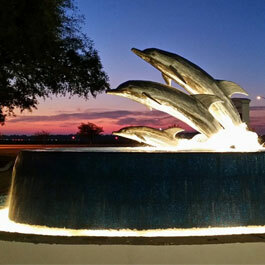 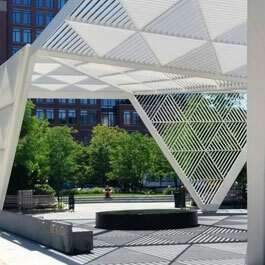 The fountain sits along the entrance stairway outside the building. 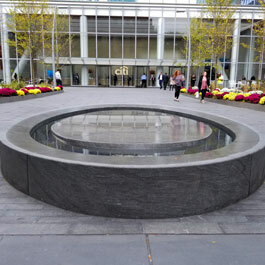 Shrubbery sits on either side of the water feature. 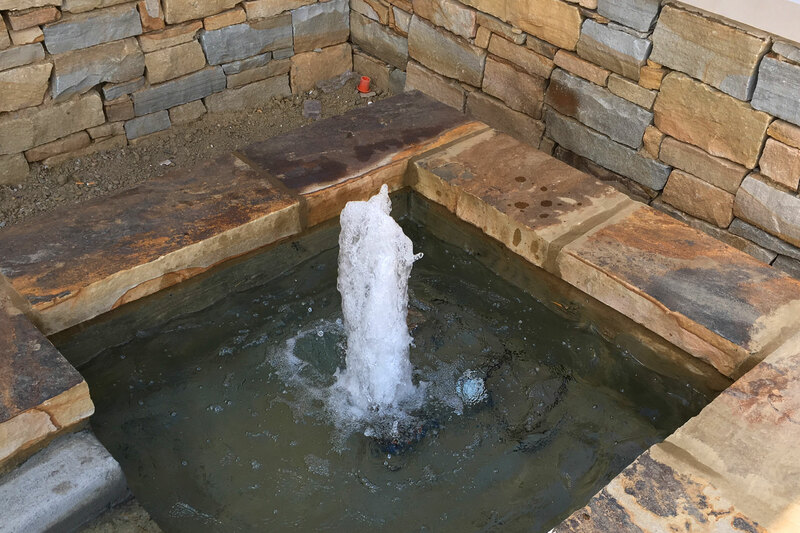 The municipal fountain designed outside Vestavia Hills City Hall flows along the entrance stairway.